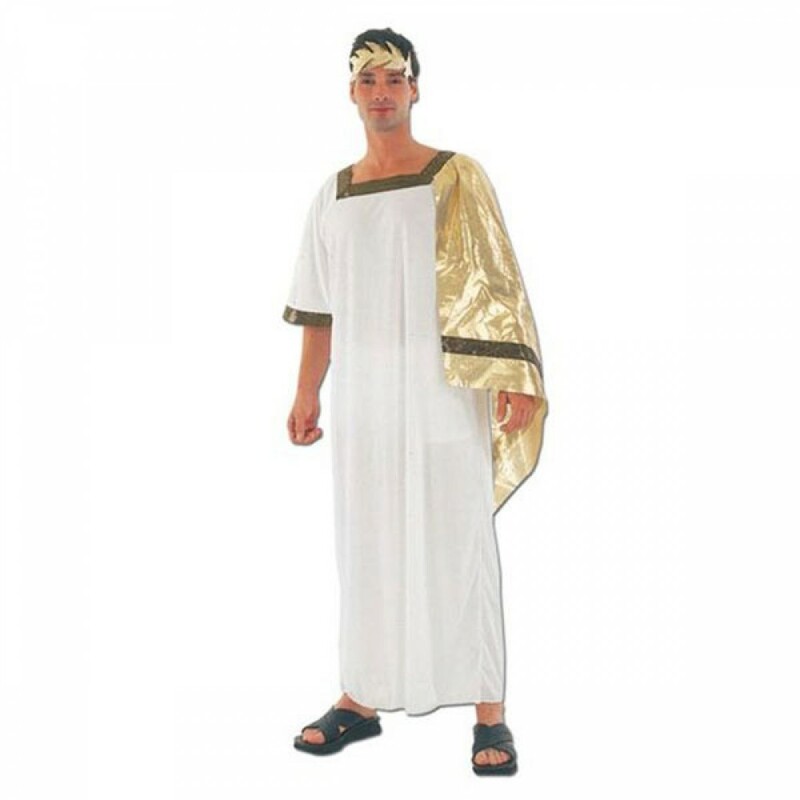 A long Toga fancy dress costume with gold shawl and laurel included. 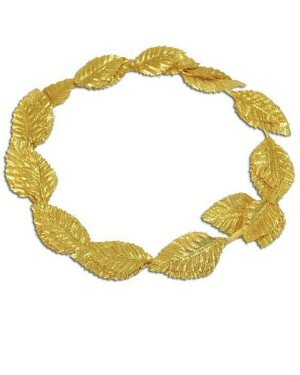 A regal ancient look for any toga party or Greek / Roman look. A white full length toga with great ancient style detailing and an attached gold shawl. The costume is made of lightweight white fabric – so not too hot to wear for a night out! As with most white fabrics the item is slightly see-through if wearing dark garments underneath. The full length design and large gold shawl gives a classic regal look to become a Roman Emperor, Caesar or Ancient Royal! The outfit comes complete with a gold leaf headpiece. Size guidelines: One Size (to fit most) up to a 44” chest. The costume is also made from stretch fabric for further sizing flexibility. 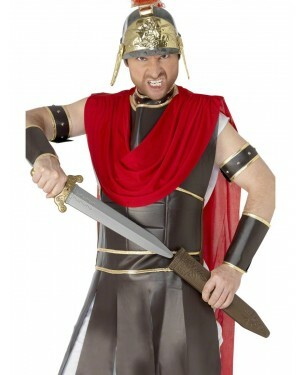 Two piece costume which includes toga and laurel headpiece.